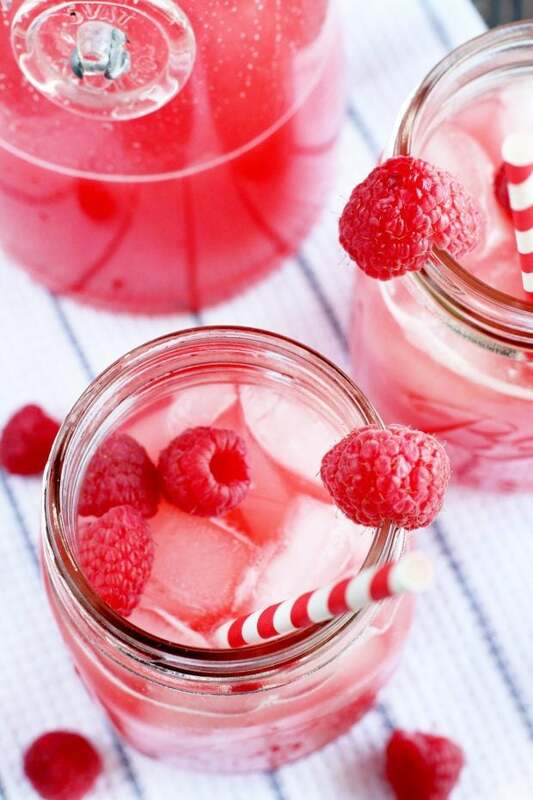 Raspberry Vodka Lemonade is just the fruity cocktail you need to quench that thirst this summer. 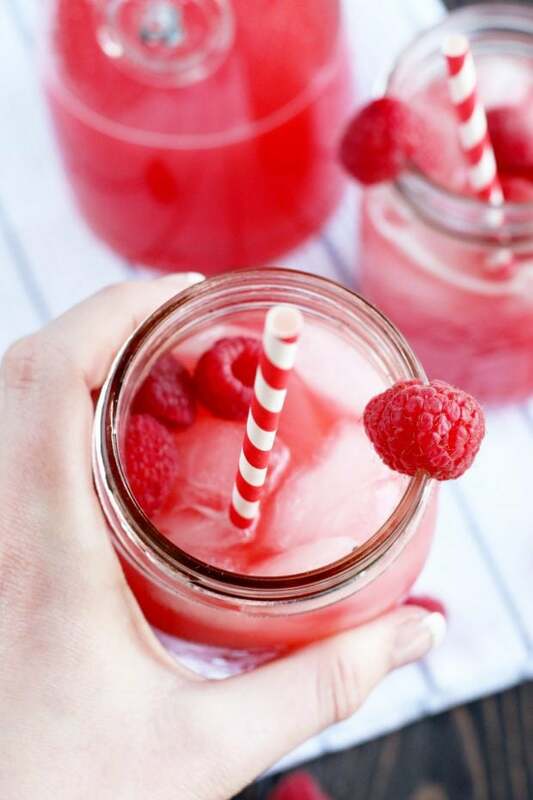 With fresh raspberry juice and lemon juice, this lemonade is what you’ll want to cool off every single day! When it comes to summer refreshment, my mind tends to always drift towards the simplicity of homemade lemonade. However now, now there is HEAT. The sun is beating down every day. When I cook, the house turns into an oven. Going out at 7:30am for coffee is no longer a pleasant experience since it’s 70+ degrees and hot coffee is the last thing I need in life at that moment. All I can say is thank goodness for AC. I just listened to a post-apocolyptic book about a world without AC and I literally can’t even imagine if that was my reality. AH. That’s where this lovely vodka lemonade comes into play. 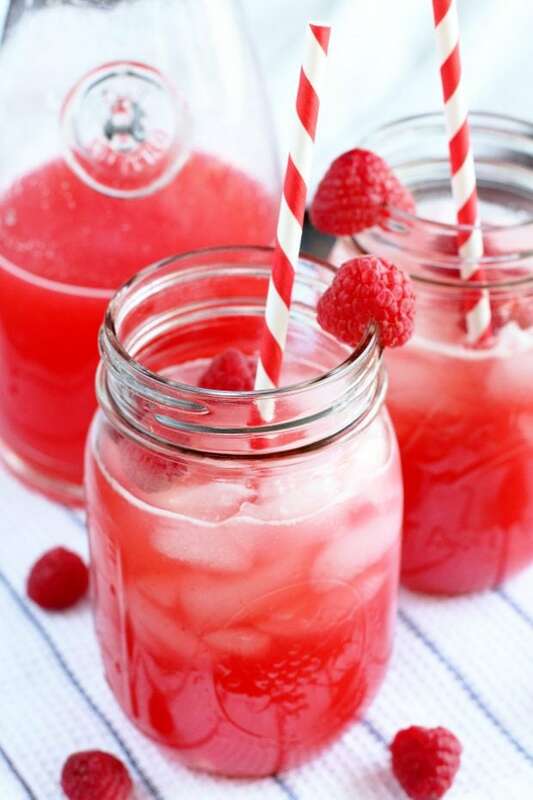 When it’s hot as hell outside and all I want to do is grill, I grab a jar full of this lovely raspberry vodka lemonade and kick back as the meat sizzles away. 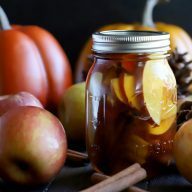 I personally love to make this recipe and leave a pitcher of it in the refrigerator (without the ice, mind you – no diluted cocktails in my house!). You can sip on it all week and it’s so nice to just have there waiting for you at the end of a long day. 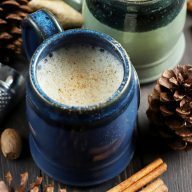 Alternatively this is the best cocktail to make for a large gathering! 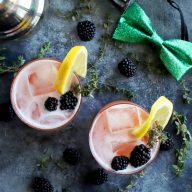 I believe big batch cocktails are the best thing to make for parties (you know, in addition to the giant cooler full of beer), because it’s easy to make and easy to drink. Not to mention you can make a double batch to last all night long or just have the ingredients on hand to whip up another batch if you happen to run out. Want more homemade lemonade goodness? Try this Vodka Strawberry Lemonade or get bubbly with this Sparkling Blueberry Thyme Lemonade! They are both fresh and fruity ways to get your deliciously scrumptious booze on. I love the simplicity of serving this lemonade in Ball Pint Mason Jars! It’s just so simple and pretty. Plus you can easily garnish with a few raspberries to make it really stand out in the crowd.
. This juice is a POWERHOUSE and gets every last drop of juice out of every berry. always comes in handy. It’s a scraper too so it’s great for cooking! 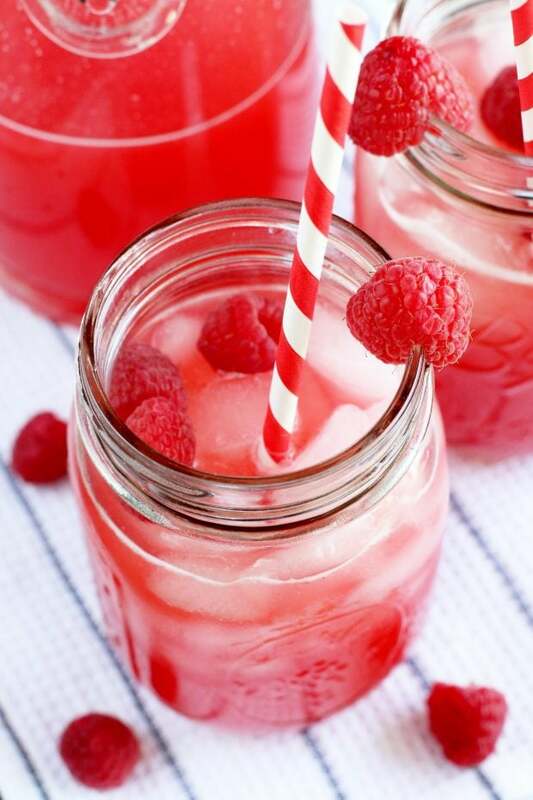 Pin this Raspberry Vodka Lemonade recipe for later! When it comes to summer, nothing is better than cooling off with a homemade lemonade, particularly when it's made boozy! 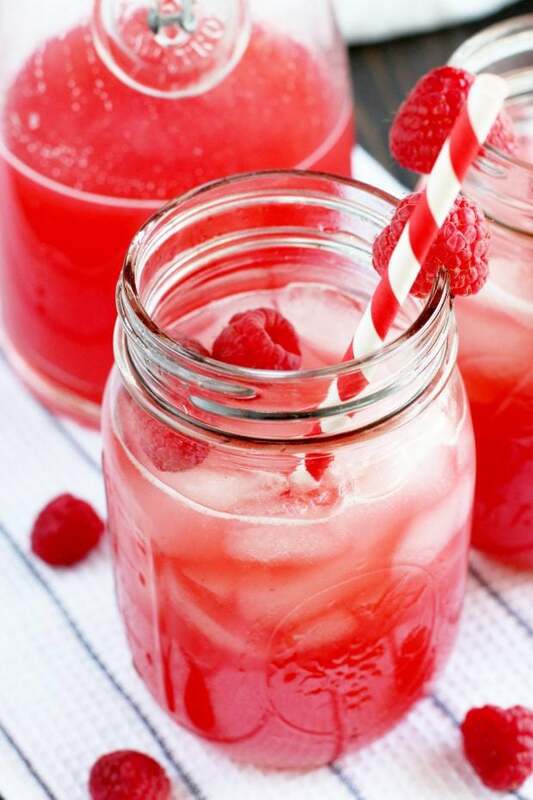 Run raspberries through a juicer and pour the fresh raspberry juice into a large pitcher filled halfway with ice. 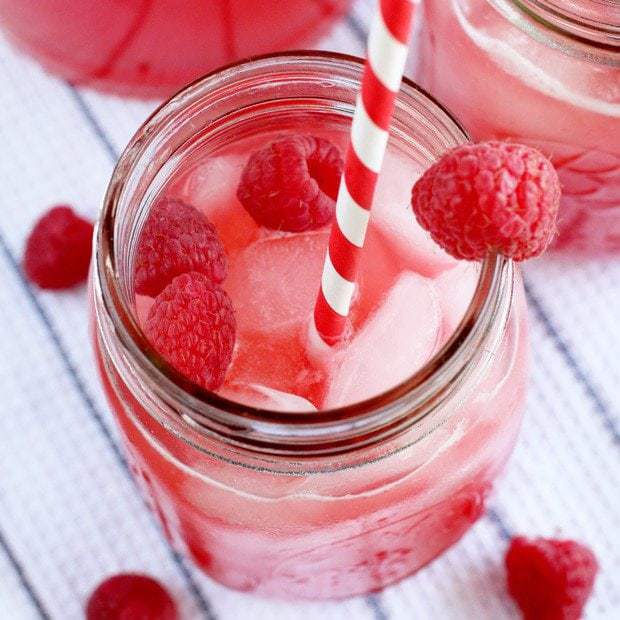 If you do not have a juicer, puree the raspberries in a blender or food processor. Then strain into a large pitcher filled halfway with ice. 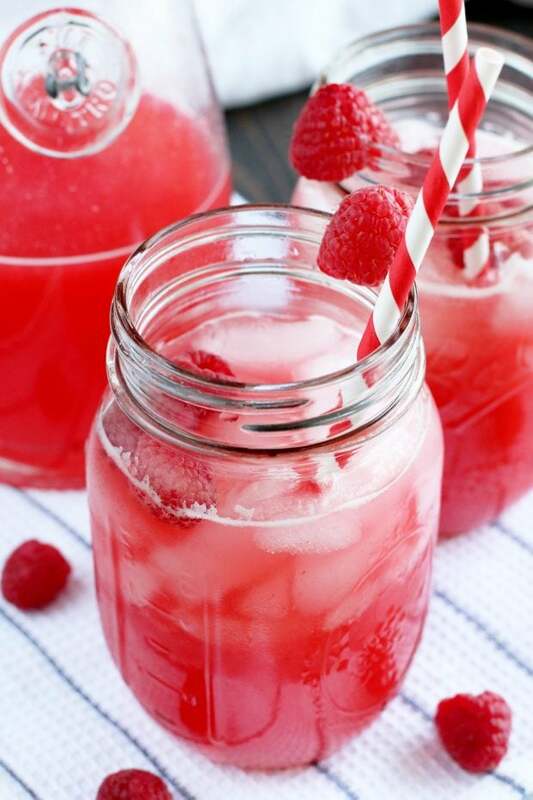 Add lemon juice, sugar, vodka and water to the large pitcher with raspberry juice. Want to make this sparkling lemonade? Use chilled club soda instead of water! Wow these look absolutely amazing!! Great job! The color of this lemonade is great! My kind of cocktail! YUM! What an amazing fun drink for summer! This is a must-make! I deserve this after getting all my yard work done this weekend! Great way to cool off! I love the tart with the sweet! They toally balance each other out. Cheers!